Our friends at Lanugo have put together this Christmas coloring book for us to share with all of you. 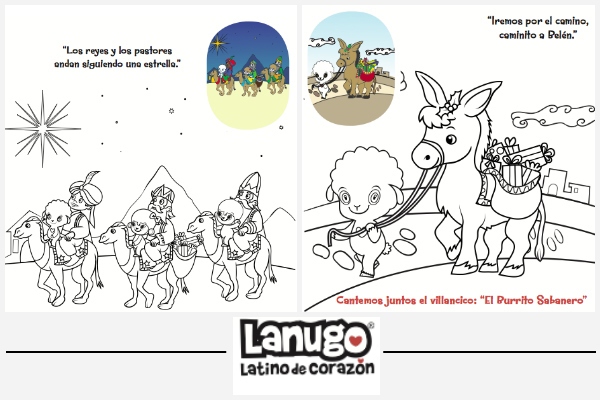 The Lanugo Christmas coloring book celebrates our cultural traditions during this time of year. Inside you’ll find los tres Reyes Magos, a page dedicated to el villancico “El Burrito Sabanero,” and much more! Click here for the printable version of the Lanugo Christmas coloring book. After the grand success of Play Station 4 (PS4), Sony has announced the next version of Play Station, the PS5. It will obviously be more powerful and rigid than the PS 4, for better and smooth gameplay experience.